To begin with I started to develop logos based on the feeling which I had received about the salon through talking to Joumana, seeing the photos of the salon at the moment, as well as taking into consideration the aesthetics Joumana had said she liked. I began working with both Sans Serif and Serif fonts, whilst manipulating them to create a unique typeface for the logo design. This was the case with the type shown below. 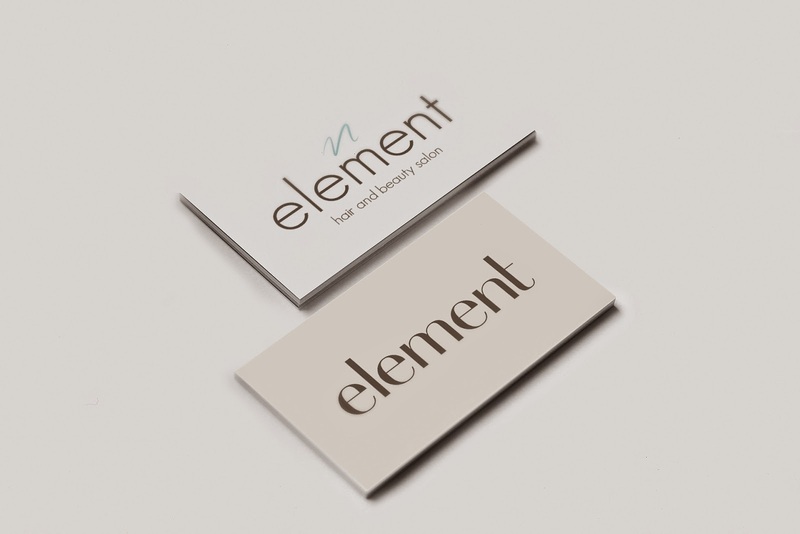 Didot a Serif was manipulated into a Sans Serif to be more contemporary and fitting for the tone and audience of the Element salon. The development of this can be seen below. Below shows an email I sent to my client along with the logos explaining where I took my inspiration from, hopefully to clarify any questions she may have. "In regards to the two attached I went for a more upmarket minimal contemporary style with the sans serif and a classic contemporary style with the serif and the key line. I personally felt that with having a simple logo in terms of typography it allows for addition of elements such as illustration, borders, background colour/shape. I took the inspiration from the images and information sent so you can see natural elements taken through with the green leaves on the other logo and then a more young fun logo with the serif and the circle. My ideas with this was that an image could take place of the colour or type. But above all from the images I felt the salon was very natural, upmarket and organic hence leading to minimal and quite organic looking logos. I also think with beauty salons it's important to look quite relaxed as this is the intention of the experience. I will further work on the logos and send them over in formats so you can see how they would look when in position of an Apt card for instance." 6 different logos were designed, each featuring 3 different versions on one page. This was not done to provide further options, but to show how the logo would be applied in different ways, i.e. main logo, signage featuring J's in small print for legal naming purposes and an icon for the reverse of the loyalty cards. Mock-ups were also provided along with the JPEGs shown above in order to provide more of a realistic aesthetic and to allow my client to make an easier decision.